Rumpelstiltskin has been around for a while now. 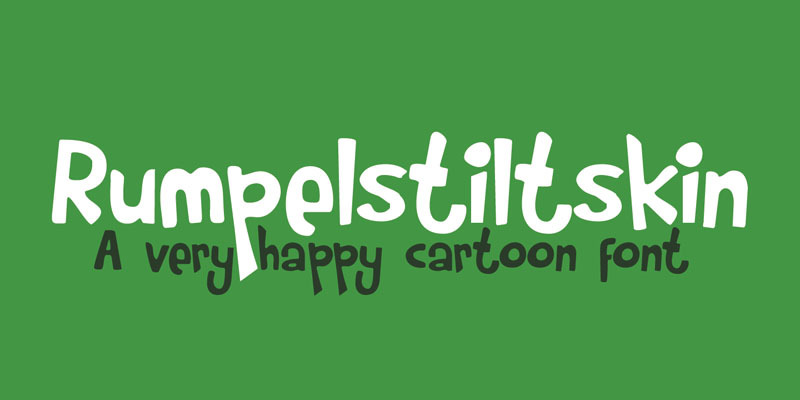 It is a cartoonish, happy font with an uneven baseline, great for use in children’s books and cards. Comes with a treasure trove of diacritics.